*Referee: Michael Voskakis. Games 0-2-2 / 6 goals / 0 penalties / 17 yellow cards / 0 red cards / 0 players sent off. There is not anything new to say about Olympiacos. Last week they won Panionios (1-3) and continued their way to a new title with 16/16 wins (including the cancelled match against Panathinaikos). They proved me right in their midweek match for the Cup against Chania (1-4). They conceded a goal for the fifth time in their last 7 official matches (Champions League, Super League and Cup) and I believe it is normal. The players of Silva are aware they are the best team and occasionally they are a bit careless in defense, that’s all. Levadiakos did not play last Sunday as their match against Atromitos was postponed due to the weather conditions (re-scheduled for 20/01/16). The players of Matzios had midweek Cup obligations. Despite their good start in the home match against AEK (0-1) they ended up with nothing. They were more dangerous during the first 20 minutes but AEK handled their pressure and scored first at 30’ after a great goal by Vargas. Levadiakos spent the rest of the match trying to figure out a way to answer without any success. In fact, they could have conceded a second goal given some dangerous counter attacks of AEK but I must say the final score was fair. You might not remember it but Levadiakos had a very good performance against Olympiacos in the first round and they were very unlucky in both goals they conceded. The way I see it we have two scenarios. The first is that the Champions remember what happened that day and they will try to humiliate their opponent. The second is that Olympiacos will be loose again they will concede a goal and improve our chances to get paid (as long as they win). 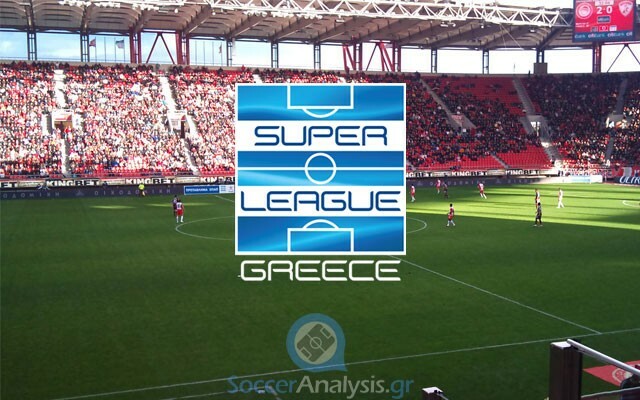 The good news is that Olympiacos is after a new record in Super League (17/17 wins).